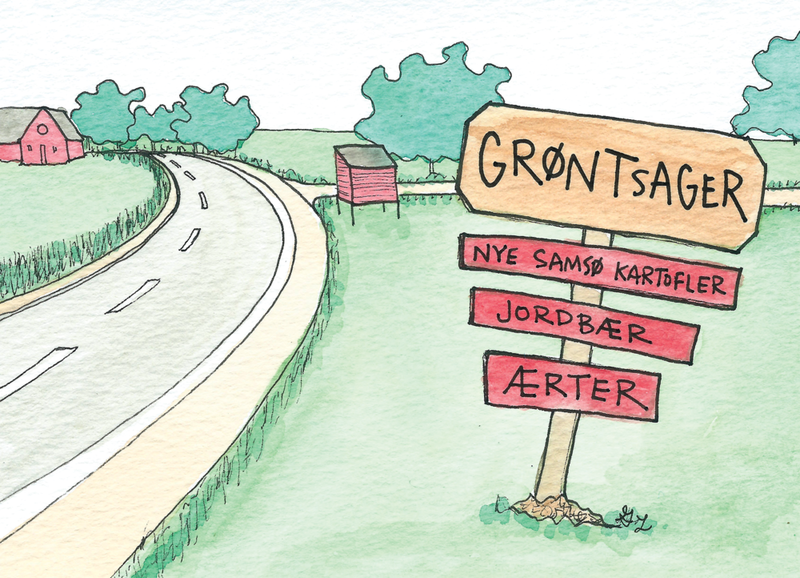 On the Danish island of Samsø, it seemed that every farmer set out just-picked produce in unmanned farm stands that run on the honor system. You couldn’t go more than a hundred feet without being offered some nourishing, seasonal delights by way of hand-painted sign. Denmark eats together. From shared staff lunchtime to affordable “long table” meals (fællesmiddag) hosted in community centers across the city, people come together to break bread with each other. They often pitch in to retrieve food, pass plates, and clean up...and become more connected in the process. On a deep societal level, Denmark values collaboration and togetherness. This presented itself in a beautiful way on our building-wide workday, on which all the residents came together to tend to our shared home and garden. This interdependence offered a stark contrast to the individual-centered culture of the USA, and something I hope to adopt more and more. “Velbekommen" means "may it do you good." It's one of my favorite words in the Danish language. At the end of a meal, it's customary to say "tak for mad" (thank you for the food) to whomever prepared it, and they will respond, "velbekommen." This exchange exudes such warmth and such understanding of how food shared with good company can nourish us.